A Blue CSCS Card is required by those who work, or want to work, as a skilled worker in the construction industry. Whether you’re skilled and qualified in your trade or you’ve got all the skills but little to no qualifications, you will be able to get this card. Find out below how to get a CSCS Card whatever your level. All you need to do is take the CITB Health, Safety & Environment Test for Operatives. Once you pass that you’ll be able to get a Blue CSCS Card. It may be that you don’t need to take the CITB Health, Safety & Environment Test for Operatives if you have taken your NVQ in the last two years or so. You’ll need to check with your training provider for further details. 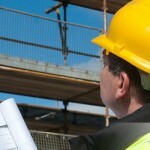 Again all you need to do is take – and pass – the CITB Health, Safety & Environment Test for Operatives. I have….experience in my job and I have registered for a qualification applicable to my occupation. While you won’t be eligible for a Blue CSCS Card, you will be able to apply for an Experienced Worker Card. In order to get this card you’ll need on the job experience (normally at least one year in the last three). With this card being valid for only a year, once you’ve achieved an NVQ Level 2 or higher, you’ll be able to get a skilled card. In order to get the Experienced Worker Card you must sit the CITB Health, Safety & Environment Test for Operatives, as well as being registered for the relevant NVQ/SVQ – as alluded to earlier on. Whatever your level, getting a Blue CSCS Card is definitely possible. And with construction firms looking favorably on tradesmen holding a skilled CSCS Card, this should provide all the incentive you need. At Construction Helpline, we take hundreds of calls on a daily basis from tradesmen looking to get a Blue CSCS Card. Our team of trained construction professionals are on hand to provide all the advice you need Monday to Saturday. So give us a call on 0207 199 9800 and learn more about the CSCS Cards today.